Birds often choose their mates based on song, making it a key factor in separating species. However, analyzing spectrograms can only tell us so much–the characteristics that birds hone in on when identifying potential mates may not be the same ones scientists notice in audio recordings. A new study from The Auk: Ornithological Advances uses field experiments to "ask the birds themselves" and uncovers as many as 21 previously unrecognized species. Benjamin Freeman of the University of British Columbia and Graham Montgomery of Cornell University compared these two methods–analysis in the lab and experiments in the field–for 72 pairs of related but geographically separated bird populations in Costa Rica, Panama, and Ecuador. In addition to analyzing more than a thousand song recordings for seven variables, they used playback experiments to test birds' real-world reactions to recordings of their relatives, observing whether or not they approached the speaker. Their results show that when the divergence between the characteristics of the recordings is high, birds consistently fail to recognize recordings of their relatives in the field, but when divergence is low, birds' discrimination is much less consistent. In other words, analyzing recordings can't accurately predict how birds will act when presented with songs just slightly different from their own. Many pairs that failed to recognize each other are currently categorized as members of the same species, suggesting that current taxonomy does not reflect actual bird behavior when it comes to song. Freeman and Montgomery propose that 21 such pairs should be recognized as separate species based on song discrimination and that playback experiments should be the standard for assessing whether song divergence between populations is a barrier to interbreeding. 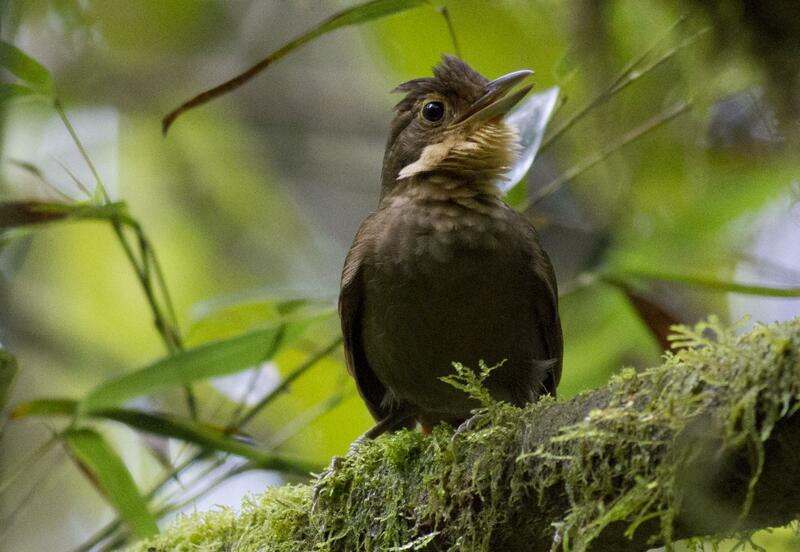 "It is abundantly clear to anyone familiar with the amazing diversity of Neotropical birds that there are many cases where populations that sing very different songs are classified as the same species," says Freeman. "These populations look the same–they have similar plumage and are similar in size and shape–but assuming that populations that sing differently tend not to interbreed, this means that species-level diversity in the Neotropics is underestimated." "Playback experiments between geographically isolated taxa provide key data on how populations might perceive each other in terms of 'same' or 'different' if they were in actual contact," according to Louisiana State University's J.V. Remsen, an expert on Neotropical birds who was not involved in the research. "Hopefully, this pioneering study will catalyze a wave of similar studies around the globe as a way to approach the always-thorny problem of species limits in these birds." "Using song playback experiments to measure species recognition between geographically isolated populations: A comparison with acoustic trait analyses" is available at http://www.bioone.org/doi/full/10.1642/AUK-17-63.1.